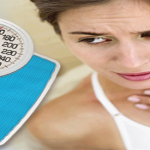 Individuals who are suffering from hypothyroidism are often advised to follow strict hypothyroidism diet plan. 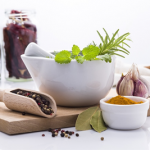 While there may be several treatment options for hypothyroidism, diet modification is an essential part for low thyroid whether it be medical or alternative treatment. 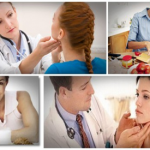 90% of hypothyroid cases are autoimmune diseases. 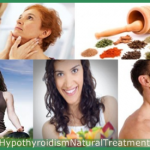 As such, hypothyroidism, hyperthyroidism, and other thyroid problems are highly linked to a person’s diet. 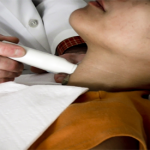 A change or modification of diet, therefore, can significantly affect the performance of the thyroid glands. The wrong low thyroid diet plan may not necessarily be outright or directly result to adverse effects. 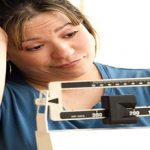 However, a hypothyroid diet plan that is not backed by medical and scientific bases may just be as dangerous. 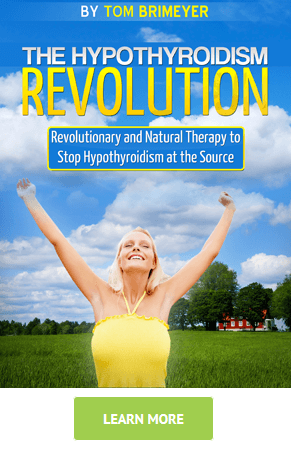 At best, the wrong diet can cancel out the effectiveness and potency of any other treatment, and at worst, the hypothyroid condition can get worse. Your diet has such a big impact on your hormones and thyroid that if you don’t change your diet, then it’s pretty safe to say that you will never truly correct the underlying problem. Your body needs the right vitamins, minerals, and nutrients in order to produce and properly regulate all of the necessary hormones in your body. Carbohydrates are essential for your diet and thyroid health. Carbohydrates are the essential fuel for your body and brain. If you don’t eat carbohydrates then your body will break down your own muscle tissue as a source of fuel which is very inflammatory and very unhealthy. Balancing your blood sugar is the key to healing your thyroid. If you are a hypothyroid sufferer, fruit is by far the best source of carbohydrate for balancing your blood sugar. It is rich in potassium which helps regulate your blood sugar. The liver of a hypothyroid sufferer has a difficulty in handling sugar. Fruit is the best stimulant for your liver to store the sugar it needs to properly convert thyroid hormone and deliver it to your cells. It’s important to never eat carbohydrates or protein alone. It is vital to balance your food to get a balanced blood sugar. Vegetables are high in nutrients. Some vegetables have anti-fungal and anti-microbial properties and they are very helpful for hypothyroid sufferers who are prone to digestive issues. But many of the vegetables have natural thyroid inhibitors which can cause problems. Vegetables that are high in starch, such as root vegetables, have a negative impact to your blood sugar, cause weight gain, and suppress your thyroid function . They should be thoroughly cooked and eaten with healthy fats to slow down the digestion to avoid blood sugar spikes. Young potatoes are recommended to eat since they still have low starch content. 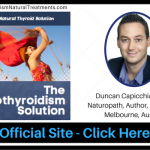 The best food for low thyroid diet plan are those that are, by nature, anti-inflammatory. Any intake of food that can cause inflammation can only trigger the condition and stimulates the body’s natural response to stress. When stress stimulants are detected by the body, it immediately releases stress hormones that slows down the body’s metabolism as a way of conserving body energy for outlasting and overcoming the stress stimuli. Consequently, a diet which consists mostly of inflammatory food would subject your body to daily releases of stress hormones which, on long periods, can work against your entire thyroid treatment. Inflammatory food can come in the form of grains that contain gluten such as wheat. Eating food that come in grains, unless they are labeled as gluten-free, have high levels of gluten that can inflame the thyroid gland and can reverse the effect of any medication or treatment that you are taking. Proteins are essential parts of everyday diet. However, some sources of proteins, like muscle meat, have more inflammatory-causing properties or have higher amino acids like tryptophan, methionine, cysteine, and histamine than other meats. To get the adequate amount of anti-inflammatory proteins into your daily diet, include also bone broths into your meal. 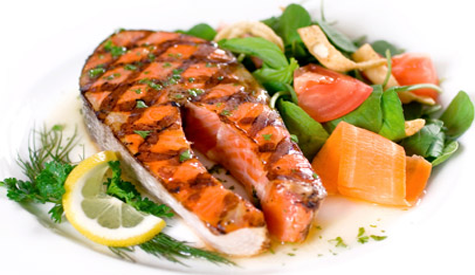 Protein contains amino acids which are the building blocks of protein. Amino acids are essential to our body because they also manufacture powerful hormones — including the thyroid hormones. They are called “essentials” because our body cannot produce them. When you eat by combining protein-rich vegetables with anti-inflammatory proteins from organic meat you achieve better amino acid intake and get best possible healing effects on your thyroid. When you eat potatoes don’t forget to add organic butter to help slow the absorption of the starch and maintain balanced blood sugar. Health-conscious individuals have been trained to develop an aversion to anything that is ‘fat’. The common belief is that fats – most of it – are harmful to the body. While this is true, there are also fats that are good and healthy. Fat in your diet is not only important, but essential for a healthy thyroid. Fats are necessary for regulating the release of sugar into your bloodstream. Fats act as an antioxidant and protect your cells from damage. Fats are used as a backup source of energy which is why your body converts extra sugar into fat when you don’t get enough fat in your diet. Fat is extremely important in your diet for slowing the rate at which you absorb carbohydrates inside your digestive tract. It serves the important purpose of keeping your blood sugar stable whereas eating carbohydrates without fat can cause your blood sugar to increase rapidly. Aside from getting the necessary nutrients, you have to make sure that you’re not including the foods in your diet that have a negative effect on your thyroid function. Cooking these foods inactivates the goitrogens. If there are listed ingredients that you can’t pronounce then don’t buy it. The human body works in a complicated manner where several elements, each having specific roles, contribute to the entire function of the body. 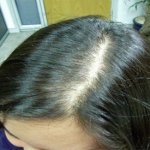 Any deficiency or excess of one or any can result to a multitude of other conditions that may directly or indirectly affect other functions. This is the same with the thyroid gland. To keep the thyroid gland in tip-top working condition, essential dietary components must be given attention to. To boost the function of the thyroid glands, you need to include vitamins, minerals and other nutrients in our diet. 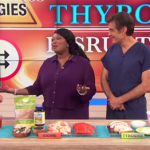 We need to understand the importance of our diet and how it relates to thyroid health. We need to realize that every single nutrient that our body needs to function on a day to day basis comes from our diet. And if we don’t get the necessary nutrients from our diet, then our thyroid cannot continue to function optimally.